When the BTB was formed it created a license for us to do the Job we had been doing. It is all good, the industry developed and we as guides did also. The country of Belize has more than a thousand guides divided into groups, some on land and others at sea. 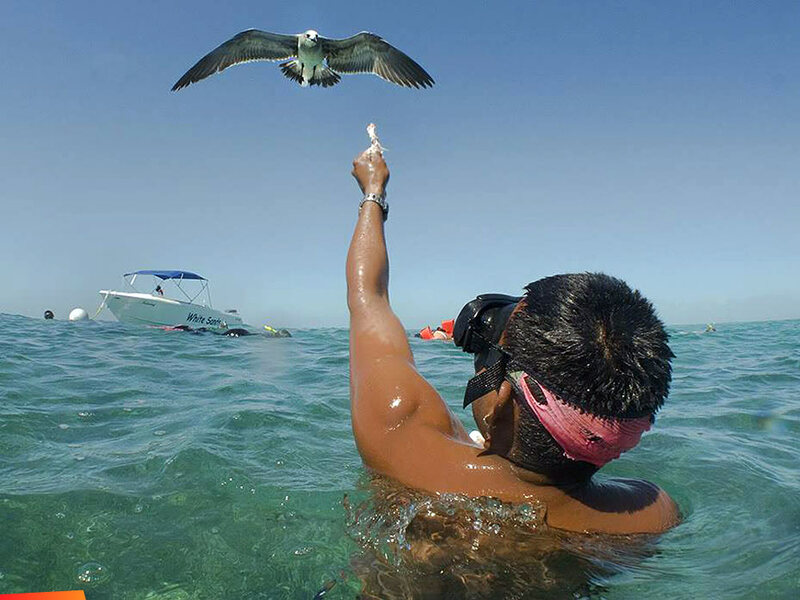 San Pedro alone has more than 350 guides that earn a living by daily emergence in the water, sometimes diving and snorkeling as many as 5 times in a 24 hour period and in all conditions of weather. Like all organizations the details develop and rules evolve over time. Occasionally I’m asked to sit on a committee and give my opinion about regulations, rules and standards. I’ve had some thoughts of late that might benefit the Tour Guides that are on these Belizean waters. We’re required, as all Belizean Tour Guides are; to wear our laminated licenses around our neck on a cord at all times. This identifies us as the Guide. There is a monetary fine for the violation of not having it around our neck that is enforced by the Belize Tourist Police, a group of very important officers of the Belize Tourist Board. These police patrol checking to see that all regulations are followed and everyone has paid for their various permits and renewals. Of course the laminated card being exposed to the same weather in the sea and sun as the guide is tuff on the card. I’m proposing the Tour Guides get the card tattooed on their buttocks. This will ensure the guide always has their card with them. The inks of tattoo art are much more durable and permanent than those printed on papers. This tattoo needn’t be visible to the public as most guides can easily be identified by their fine leadership demeanor. Yearly renewals can simply be an added tattooed date below the tattooed card image. The tourist police can simply ask to see the license of guide in question and I’m sure the Guides will happily respond.